Every New Year people make their resolutions and so many of those resolutions are related to fitness or weight loss it creates a situational market opportunity for companies in the fitness industry. Those companies focus much of their marketing spend on the first few months of the year to capitalize on consumers’ best intentions. If you consider gyms, there are many different gyms to choose from and they all offer the same basic equipment. Ask your students how a particular gym could differentiate itself from others in the same geography. Write their ideas on the board and afterward show them this video from Planet Fitness. Afterward, ask them how Planet Fitness tried to differentiate itself (products and services) in the commercial and see how it compared to their initial brainstorm list. In my Principles of Marketing class I ask my students a simple True/False question: “Good marketing means giving customers the products and services they ask for.” I’m always surprised at how many say “True”. What they don’t yet realize is that customers don’t always know what they want or even what’s possible. Successful innovators often develop products that people aren’t asking for and, sometimes, they create products that are so disruptive they elicit a negative initial reaction from their customers. That doesn’t mean the idea is necessarily bad but it does mean they need good marketing to help customers get over that initial rejection and embrace the benefits possible. Amazon is one of those companies that’s not afraid to take risks in all aspects of their business. Some of those ideas are spectacular failures but those that have succeeded have helped propel the company to becoming one of the world’s top three retailers. One of Amazon’s most recent initiatives is the “Amazon Key“. This new device replaces a traditional lock on a customer’s front door with a smart, electronic lock. 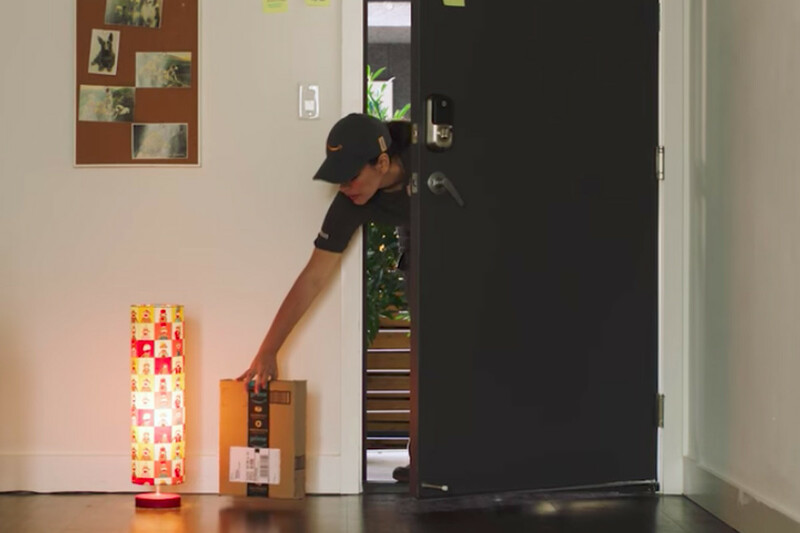 This new lock allows Amazon delivery personnel to deliver products inside a customer’s house, not just at their front porch. The device includes video recording of the delivery as well as options for the owner to block entry. The idea has been met with understandable skepticism. Allowing strangers into our home feels like an invasion of privacy and there’s an inherent fear of theft when the consumer hasn’t personally vetted the delivery personnel. Ask your students what they think about the innovative delivery idea. How can Amazon successfully promote the new concept in a way that gets customers past that initial rejection and to the point that they install the Amazon Key on their front door?